Sheena is a Licensed Nursing Administrator, working for the past twenty years in the senior industry as an administrator for skilled and rehabilitation communities. For the past eleven years, she has served as the Executive Director for a not-for-profit retirement community in Cincinnati, Ohio. As a Cincinnati native who graduated from Xavier University with a Bachelor of Business Administration and enjoys professional growth. During Muskie basketball season Sheena cheers for her team. Driving the golf ball, hiking the hills, biking the road, and spending time with family and friends at the beach or the pool are activities Sheena enjoys. Mindy lives in Lawrenceburg Indiana with her husband Travis and fourteen-year-old son Jacob. Mindy’s favorite thing to do is watch her son play football, baseball, basketball, and track! She also enjoys camping, vacations, and spending time with family and friends. Mindy has two dogs; Buster the beagle and Daisy the goldendoodle. Mindy is a Nationally Certified Activity Director and has worked in the field for sixteen years. She is currently pursuing a Business Administration degree with plans to graduate in two years. Mindy thoroughly enjoys her career and focuses on providing an active lifestyle. Mindy feels blessed to be part of the Magnolia Springs Team! Dorothy is a native to Northern KY, growing up in Ft. Wright and has been a resident of Florence, KY for the last 25 years. She has been a nurse for 21 years. She worked with children who are on ventilators for the first 10 years and then worked as a home health nurse in our community for the last 11 years. During that time, she was nominated for the Caregiver of the Year award three times and was awarded that honor in 2011. To this day, she feels that was one of her greatest accomplishments. Dorothy’s passion is taking care of people, so much in fact that she often says that she doesn’t feel like she’s worked a day in her life. Dorothy has two children, a son Jacob and a daughter Lauren, both of whom she is very proud. She also has a golden doodle named Dexter, who she will more than happily show you a picture of if you ever ask. Sara was born and raised in Northern Kentucky. She currently lives in Florence, KY with her husband, Jason. Sara and Jason have a Jack Russell Terrier named Willis. Sara graduated from Northern Kentucky University with a bachelor’s degree in psychology. Sara enjoys watching the University of Kentucky Men’s basketball team, the Cincinnati Reds and the Cincinnati Bengals. She also enjoys cooking, trying new restaurants and wine tastings. Sara spends her spare time with family and friends. Sara has been in the senior living industry for 8 years. She is proud to be a member of the Magnolia Springs family! Melissa has 20 years of Culinary experience. She studied Culinary Arts at Cincinnati State for four years. Melissa has been working in restaurants, hotels and most recently Dearborn County Hospital in Lawrenceburg, IN. She is excited to be able to bring her talents and knowledge to Magnolia Springs. Melissa lives in Florence, Ky with her spouse, Scott, and 3 kids. When she isn’t working, she enjoys watching her daughter play volleyball and basketball. She also enjoys working around the house and laying by the pool in the summer. Heather graduated from Northern Kentucky University with a bachelor’s degree in social work. She then became the class president of her advanced standing master’s course at Spalding University where she obtained her master’s degree in social work. Heather enjoys spending time with her boyfriend on his parent’s farm, visiting local breweries and spending time with her friends and family. Heather is an adventure seeker who enjoys white water rafting and skydiving! She is very crafty and is having a great time being a new aunt. Heather has worked with the aging population for most of her career and is happy to call Magnolia Springs her new home! 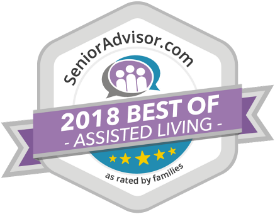 Grace has 25 years of experience in Accounting, Human Resources, and Payroll with the past 7 years as a Business Office Manager in a Personal Care home. She has worked various industries with her background but chose to go into long term care due to a compassion for seniors. Grace has an Associate’s Degree in Business Administration with a GPA 4.0 from Beckfield College. She and her husband, John, are from this area and have 4 children and 4 grandchildren.